About the broad ranges I roam. "There's a strange, sombre bird with a hook in his beak." 'Tis the little black cormorant raiding your creek. Arrayed in my funeral dress. 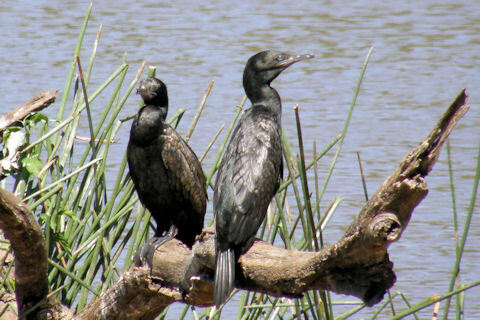 "There's a little black cormorant coming up creek!" To hunt him beneath the dark stream. And 'tis death should the little black cormorant strike. But I am an outlaw. I'm hunted and harried. I'm banned from the havens of men. There is reason indeed for my funeral dress. For alas, here's a little black cormorant less! The Singing Garden (1935) p.85.